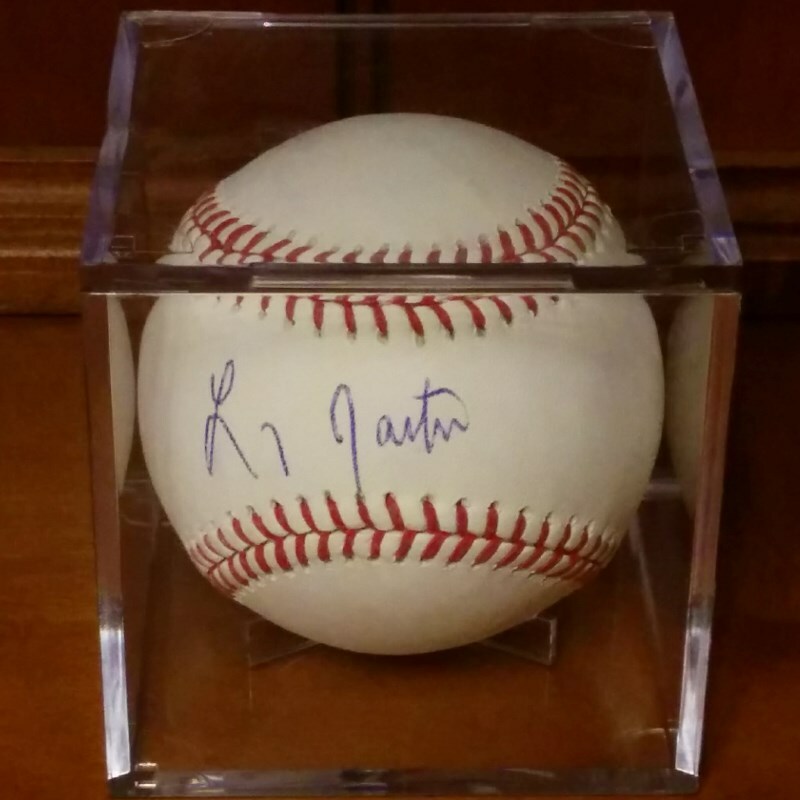 I'm still catching up on a big backlog of stuff, so here's an autographed ball from last December. The only signer at the December show I didn't have yet was Larry Jaster, a somewhat obscure player. But, he played for the Cardinals 1965-1968, including the 1967 and 1968 World Series. He only actually faced 3 batters during a single game in each series. He finished his career with Montreal in 1969 and Atlanta in 1970 and 1972. 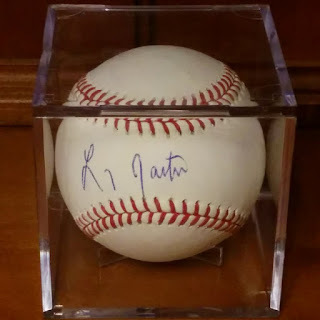 He didn't have a lot to say during the signing, so I didn't get any funny or interesting stories this time, but I'm happy to have one more World Series champ in my collection.